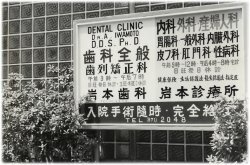 My grandfather Dr. Masataro Iwamoto (the founder) got his dental license in Tokyo, started a practice in Wakayama and Osaka in 1910. In 1921 he went to the United States and started his clinic at Terminal Island ( a suburb of Los Angeles). Then he moved his clinic to Hermosillo Sonora Mexico. At the same time he held a post of vice president in a newspaper publishing company in Mexico. He stayed in Mexico for 25 years ,but because of the Second World War he came back to Japan on an exchange ship between Japan and the United States. He opened his dental clinic in Imazato Higashinariku Osaka. 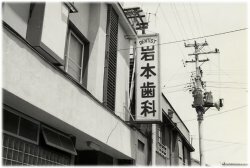 My father Dr. Akira Iwamoto (the 2nd generation) started another clinic in Higashiobase Higashinariku Osaka in 1952. He has been in practice at the same place for 66 years. Dr. Hiroshi Iwamoto (the 3rd generation) graduated from dental university and majored in orthodontics in graduate school to get a degree. In 1992 the dental clinic was rebuilt into a four story building ( 2nd floor is orthodontic exclusive area). Hiroshi took over the dental clinic on January 1, 2001. 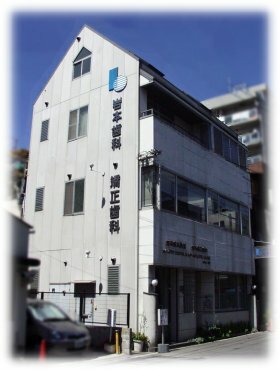 The name of the clinic was changed from "Iwamoto Dental Clinic "to" Iwamoto Dental and Orthodontic Clinic " on May 1, 2003. The clinic was remodelled in September 2004.